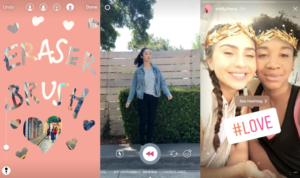 Instagram Stories: huge opportunity or complete waste of time? If you’re an Instagram user, you’ve probably noticed Instagram Stories from people and brands you follow in a bar at the top of your feed. Instagram has recently launched Instagram Stories; a feature that lets you post ephemeral content that only lasts for 24 hours. It appears in a separate stream to regular posts across the top of the mobile browser and includes a host of playful features to keep things light-hearted. Some tech media have labelled Instagram Stories a Snapchat clone. How are Stories different from standard posts? They last only 24 hours. They feature a bunch of one-touch graphics and annotations not available to regular posts. There’s a more light-hearted tone than standard posts…the quality bar is set lower. There are no public likes or comments (only the poster can see who has viewed their story). 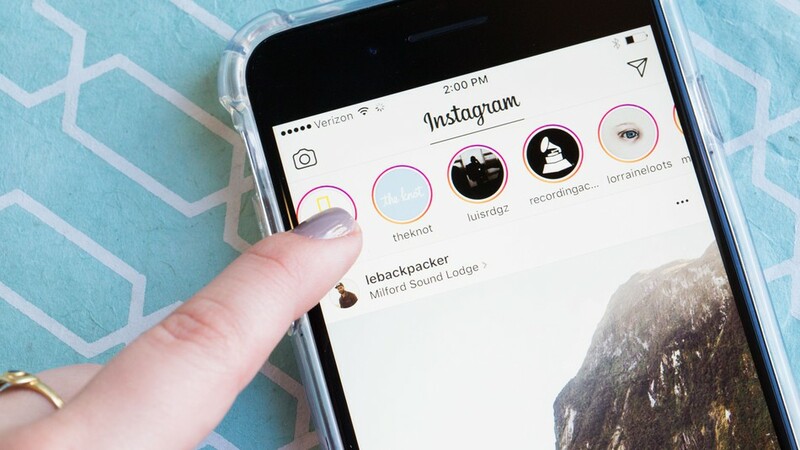 Stories don’t appear in the Instagram feed of your followers; they need to tap your highlighted profile icon to see your story. That said, Instagram has started to promote stories in the feed as a category. What should you post to Instagram Stories? Candid snapshots of everyday happenings in your business – stuff that might be oversharing if it was on your regular feed. Behind the scenes glimpses of products being made or setting up for the day. Silly and daggy stuff. The drawing and animation features make Stories fun. Extremely current news and offers that will shortly expire. Testing ideas as a story before posting a permanent post. By gaining reach and attracting new followers by using hashtags and location tags. That way non-followers can discover your content too. Show a different side: by showing an authentic glimpse of your day to day activities, you humanise your brand (and keep daggy/dorky/questionably funny stuff off your timeline). Leverage time-limited content that may be more appropriate than a permanent post. For example, promoting runout stock on the final day of a clearance. Should you ditch standard Instagram posts in favour of Stories? No!! Your Instagram account should contain a feed of what you’re about so when new users follow you they can see your past posts. Also, some followers use Instagram periodically and may miss your Stories if they don’t check the app at least every 24 hours. If you are going to use Stories, do it in addition to regular posts. 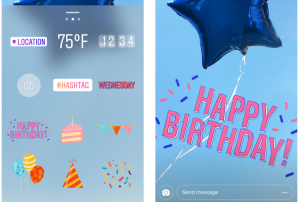 You can use Digital Stack templates to post to Instagram Stories much the same as you would a regular Instagram post, with a few slight tweaks. First, select your template in Build and Schedule, edit any variable fields as required then select Instagram. A notification will be sent to the nominated users’ Digital Stack app that the post is ready. When you receive your app notification reminder from Digital Stack, click the link to copy the caption and save the image, and go through to the Instagram app. Now when you tap your profile photo in Instagram, you can set your story. Select the Digital Stack image saved to your device. Then, press the ‘Aa’ icon to add in any copy; you can paste your caption here. Firstly, see what an Instagram Story is if you haven’t before. Check out Instagram’s steps on How to see someone’s story. Now have a go at your own: Check out these step-by-step instructions on How to share a photo or video to my Instagram Story.